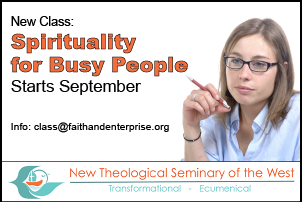 The new Theological Seminary of the West will open in Southern California in September, 2014; one of its first courses will be called Spirituality for Busy People. The seminary has asked friend of the Center for Faith and Enterprise Shelley Irvine and myself to teach the class. The class will be held in the Pasadena area on Tuesday seven evenings between September 16 and December 16. 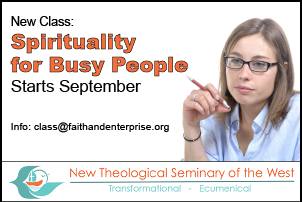 For more information, send us an e-mail at class@faithandenterprise.org.